Joseph Williams, 54, said determination was a big factor in earning his high school diploma from the Lawrence Diploma Completion Program, 711 W. 23rd St. “He’s been one of the most dedicated students we’ve had,” said Sharen Steele, the program’s project coordinator. Joseph Williams is a Mississippi native, a community volunteer with the homeless and a proud grandfather. Now, after 54 years, he’s also a high school graduate. Recently, Williams completed his final course credit through the Lawrence Diploma Completion Program, 711 W. 23rd St. The program helps adults complete unfinished high school credits at their own pace to graduate. Unlike the GED, participants don’t bypass courses with a test but are required to finish them just as though they were in high school. When Williams arrived at the program’s office about two and a half years ago, he hadn’t completed a single one of the 46 credits he would need to earn a high school diploma. He dropped out of school at age 16 following the separation of his parents. In a family of 15 with six kids younger than himself, Williams did what was necessary and went to work. After years of work — and plagued by injuries that left him permanently disabled — Williams moved to Lawrence. He settled down with his granddaughter, 5-year-old Keyonna, whom he cares for by himself. When Keyonna started going to school, Williams began to wonder who would help her with her homework. Motivated by the thought of his granddaughter, Williams persevered through eight English classes, seven social studies courses, six math classes, six science classes, two physical education requirements, two fine arts courses and 15 electives. English was tough. History “fascinating.” But biology is what really consumed Williams. “When he got into biology and the math classes he just really put his whole heart and soul into it, and he really did a great job with it,” said Sharen Steele, Lawrence Diploma Completion Program project coordinator. No matter what, Steele said, Williams was always there, working away — sometimes as many as 40 hours each week. 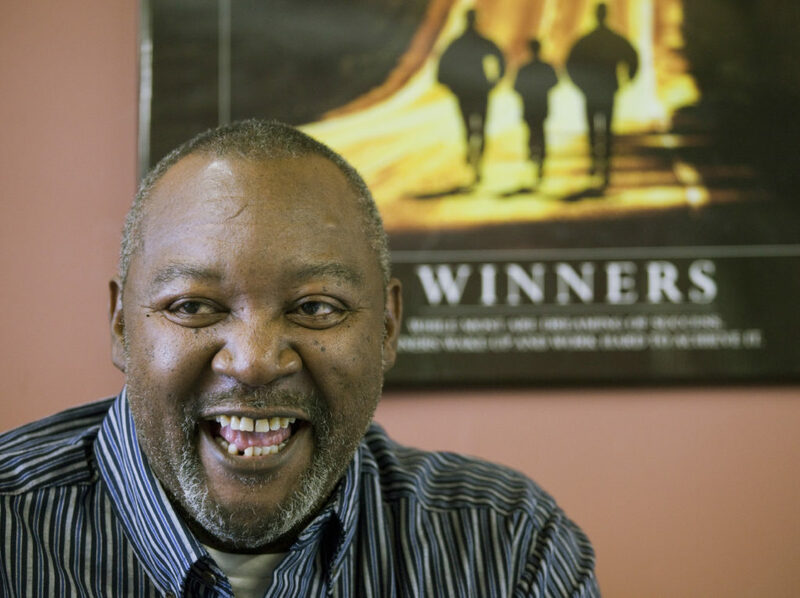 Even during the last year when Williams was homeless and living off of community resources, he still came to the office to work toward his diploma. Williams plans to hang his diploma on the wall at home so everyone can see it when they walk through the front door. He plans to look at it every day. He’s considering taking biology classes through Johnson County Community College.